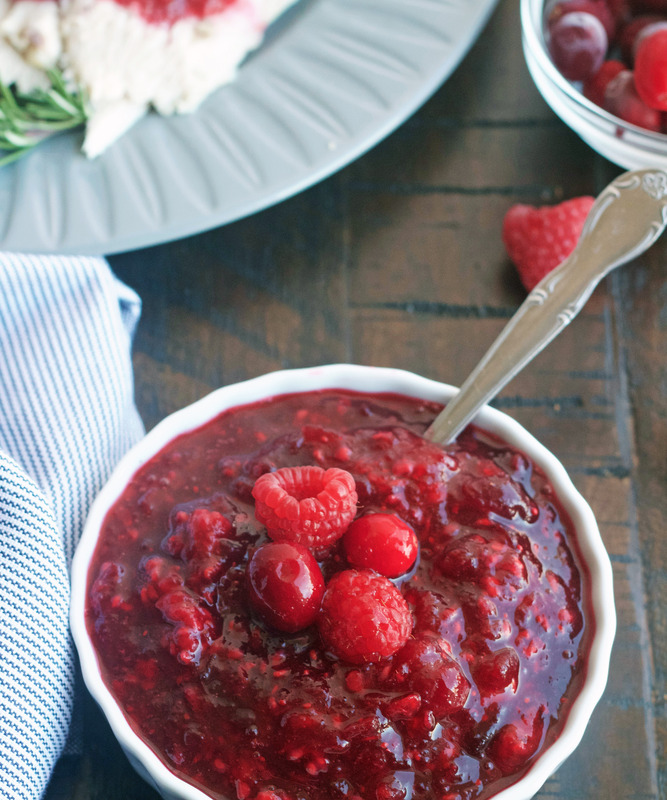 This Raspberry Cranberry Sauce is a delicious twist on regular cranberry sauce. 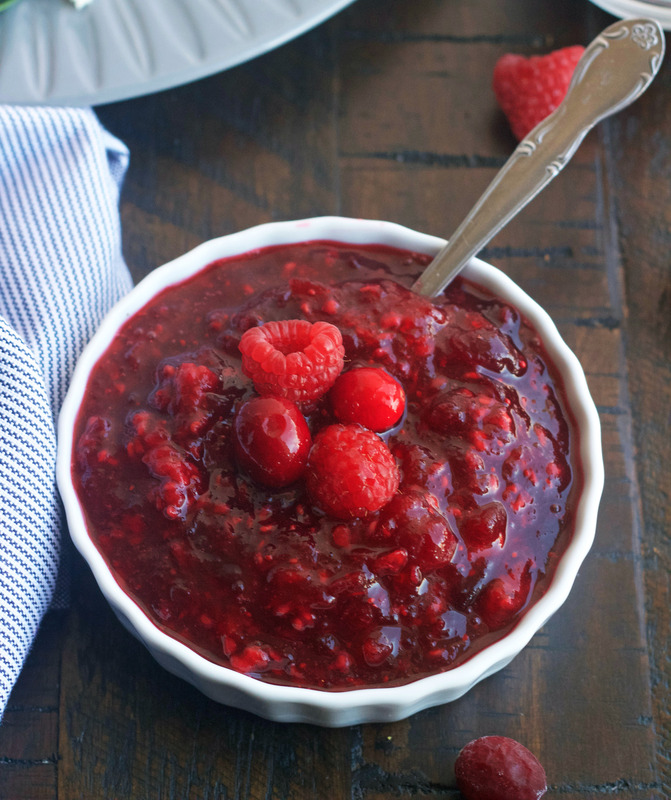 The raspberries give it add extra flavor that is so good. It’s tangy and sweet and makes those turkey sandwiches even better! 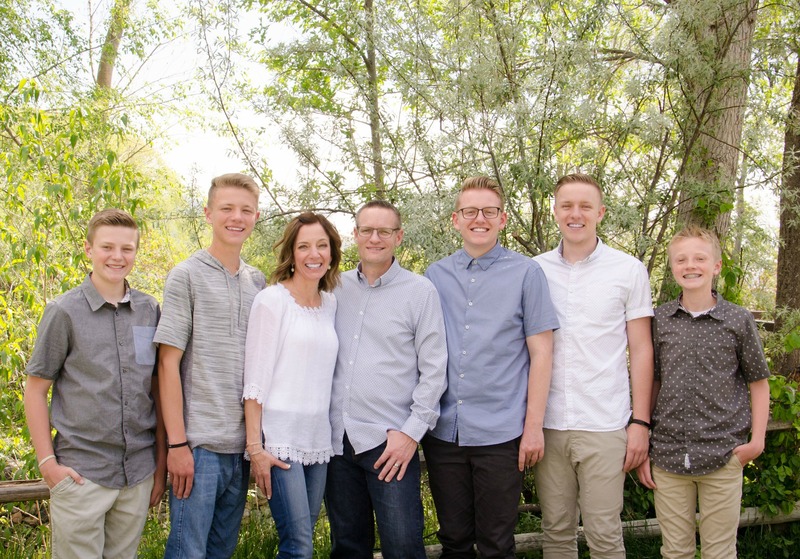 Thanksgiving is just two weeks away! Can you even believe it? 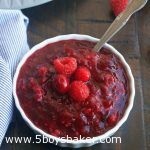 One of my favorite things about eating turkey is the cranberry sauce and this Cranberry Raspberry Sauce is crazy delicious and will make your Thanksgiving turkey even that much better. I’m kind of a huge fan of cranberry sauce and would rather have it on my turkey than gravy, and when I make myself a turkey sandwich, I load them up with cranberry sauce. I used to only use the canned jellied cranberry sauce, you know the kind of talking about? The kind that comes out of the can in one big old blob? What was I thinking?! It’s not that the jellied kind isn’t good, I really do like it, but homemade is sooo much better. This couldn’t be simpler to make and it will become your favorite. I love the hint of raspberry in this sauce. It’s not too sweet, it’s not too tangy, it’s just perfect! What about you? Do you love gravy more on your turkey or are you like me and load it up with cranberry sauce? Either way, I guess you can’t go wrong! Combine sugar and water in a medium saucepan and bring to a boil. Add cranberries and return to boil. Reduce heat and boil gently for 10 minutes, stirring occasionally. Add the raspberries the final 3 minutes. Cool completely at room temperature. Refrigerate until serving time. If you don't want this to have any chunks, you can put it in your food processor and give it just a couple pulses.